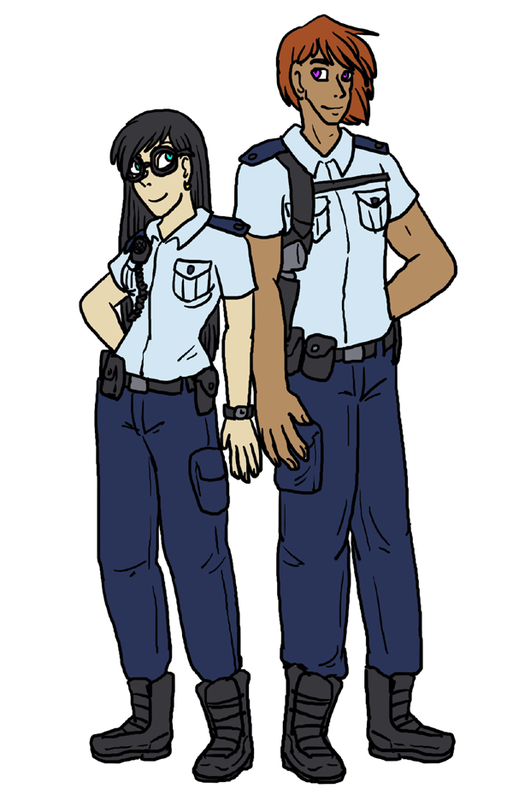 The upcoming amazing project (one of ’em) that I’m working on with Merlin: Pix and Mina: Spell Police. 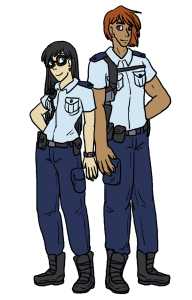 An insane badass and a sensitive protector, both cops, run afoul of horrible “ordered chaos” magic a cult is using to take over the world, turning Mina into a hulking minotaur and Paxton Hix into a tiny fairy who still thinks she’s badass. I’m working on the next comic but also need to study for tests today and so I am giving you more stuff to look at. No worries. Good luck on the test! Premise for the new comic sounds interesting. Will the new comic take place in the same continuity? 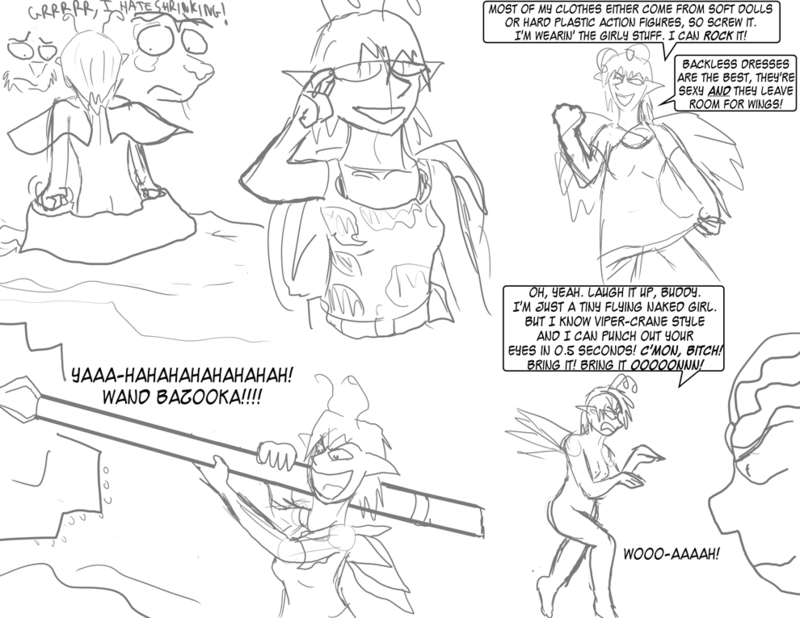 I doubt that or its in the past,because she could get real fairy clothes if it where the current setting. How old are you (Speedball) and where are you studying? It DOES sound interesting and promising. Sounds really fun! I look forward to its premier! We’re still working on it behind the scenes! Got so many ideas for it!